“ … for that distinction properly is shared by a set of Hausa novels published four years earlier. 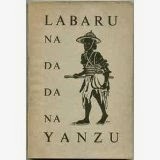 In 1933 the Translation Bureau in Zaria announced a fiction competition; the following year it published five of the winning entries”. 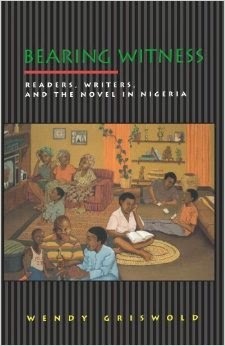 Why the focus on Hausa fiction? Well, October, being Nigeria’s independence month, is the time of year where I celebrate Nigerian literature and I chose literature from Northern Nigeria for two reasons. Well, my Nigerian side is Hausa and I did say I’d be injecting some of my personal identity into the posts this year, but more than that literature from Northern Nigeria does not get as much attention as literature from the rest of the country, which is a shame really. So over the next couple of posts, I will spotlight a number of authors from Northern Nigeria. There are of course hundreds more and I am only touching the surface – especially as I am only really focusing on those in English - but this is my way of showcasing some of the amazing work from the Northern part of Nigeria. Hope you enjoy!!! Thanks. I've been enjoying working on the post. Hope you enjoy them.